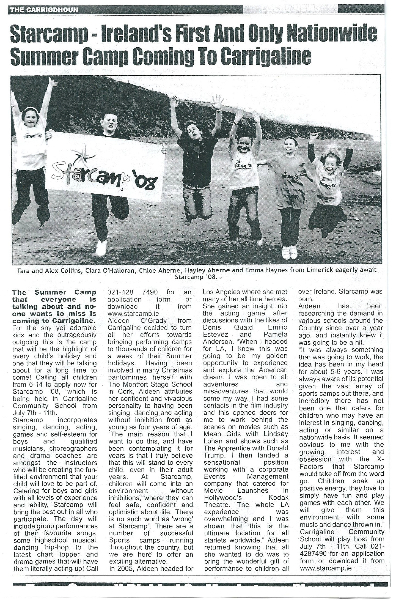 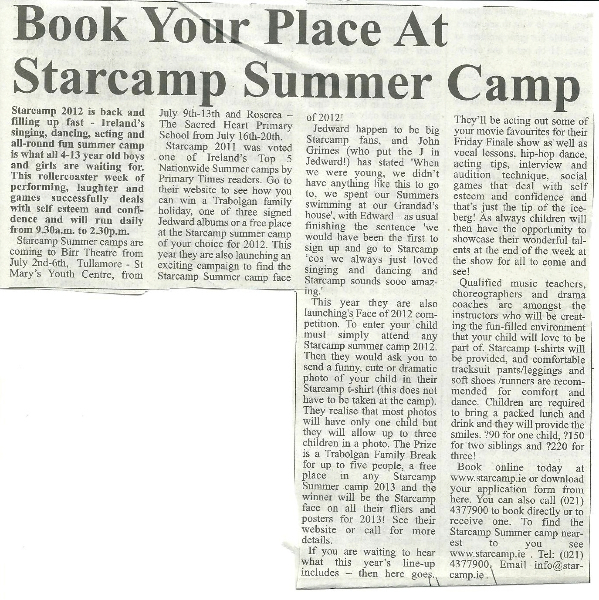 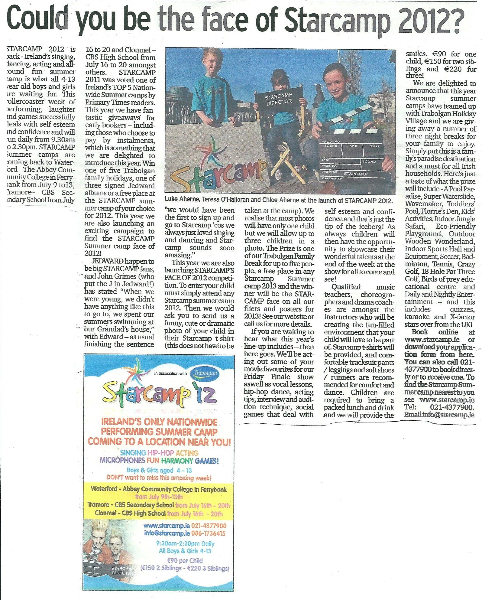 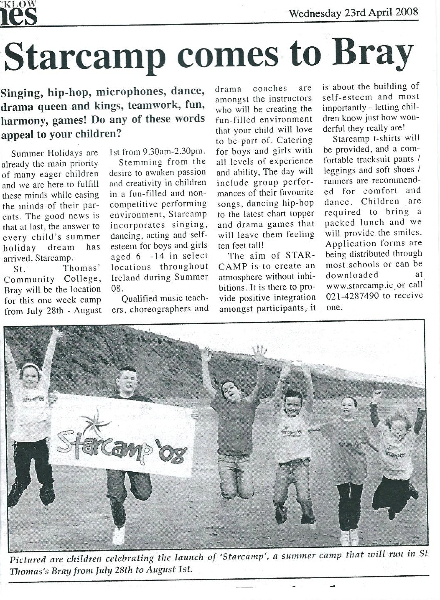 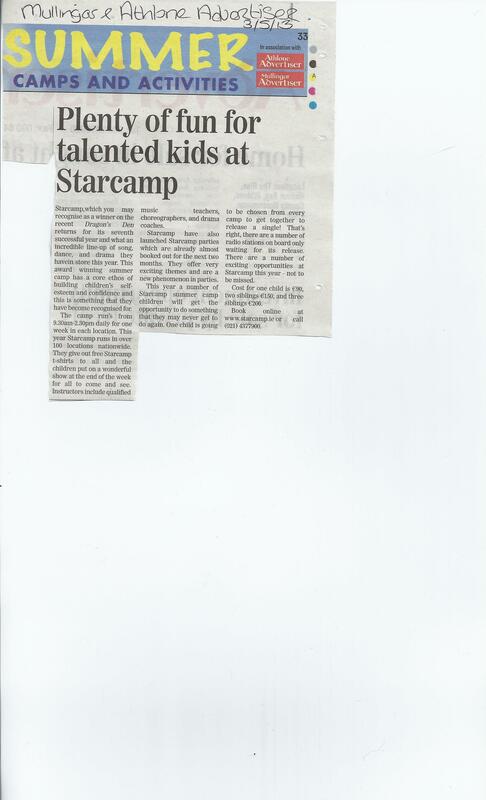 Starcamp Summer Camps As Seen on Dragons Den! 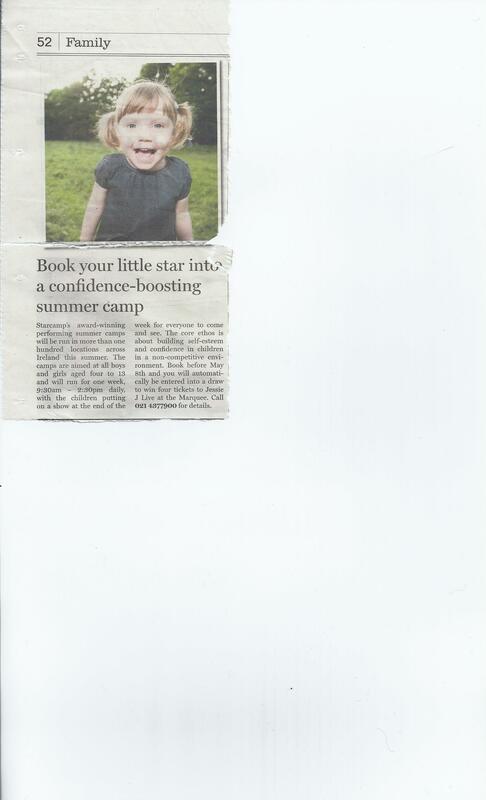 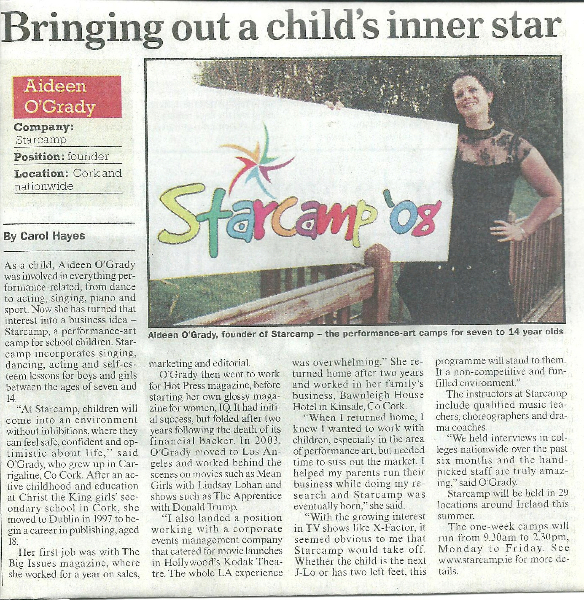 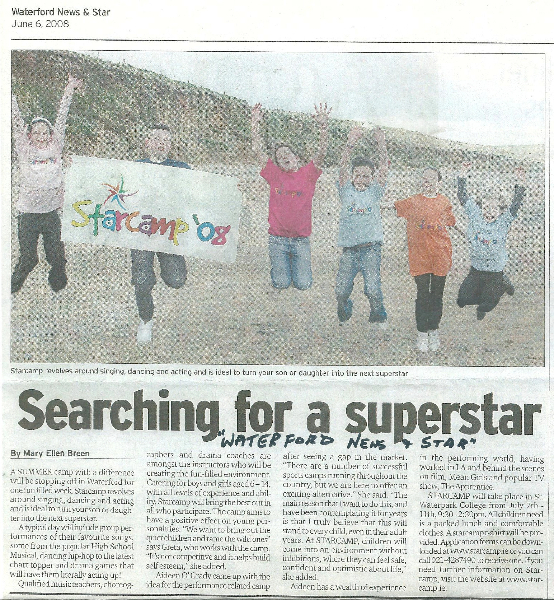 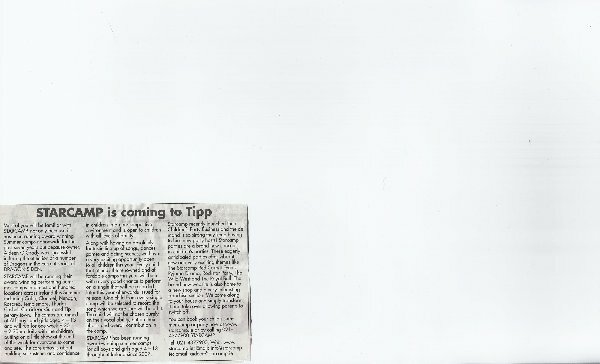 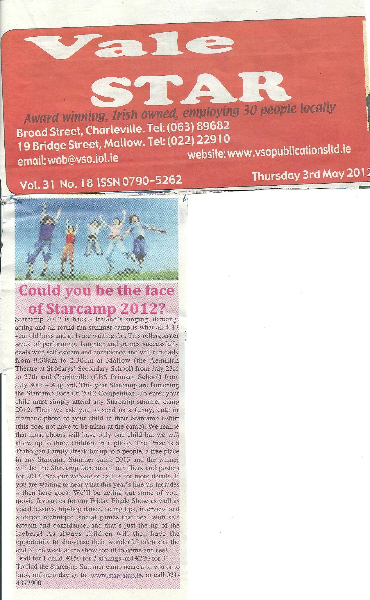 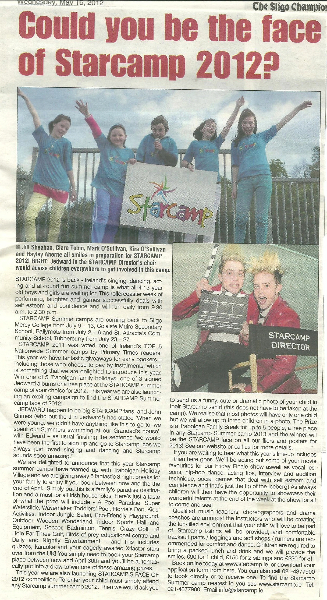 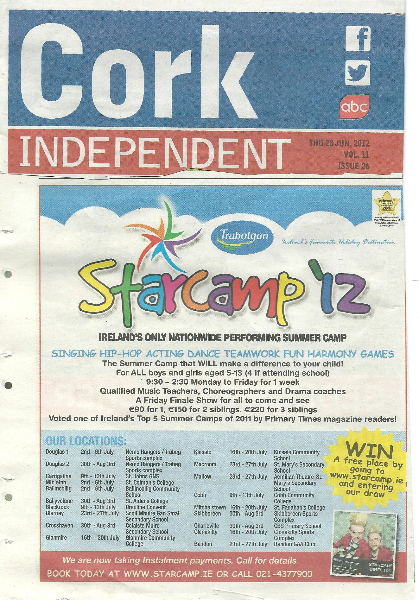 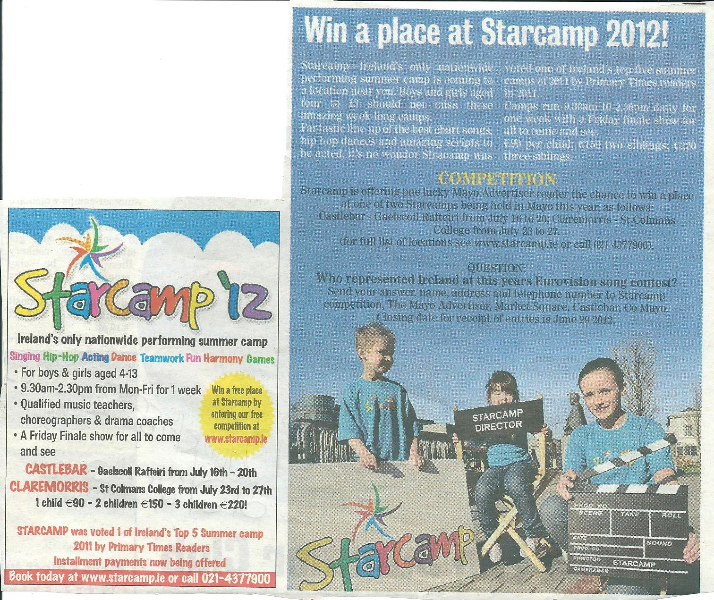 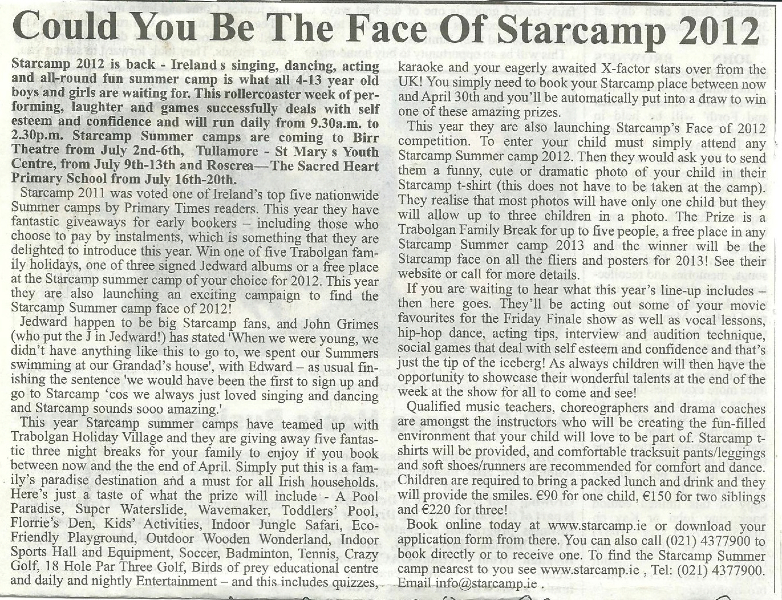 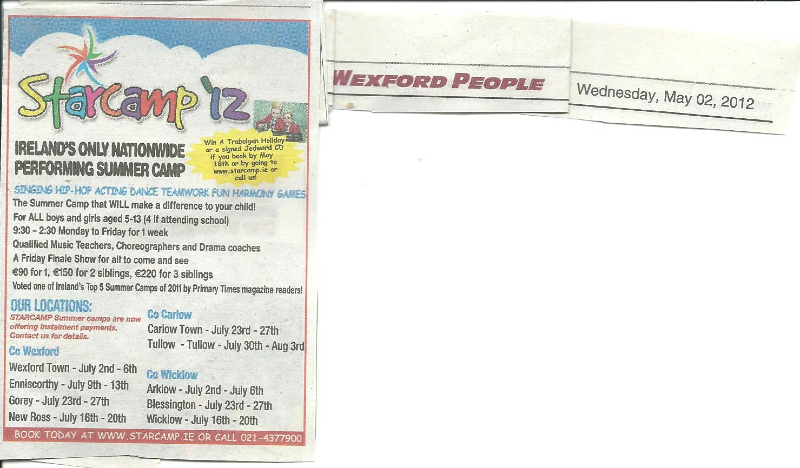 Watch Aideen on Midday TV3/Elaine Show, where she is a regular panellist – talking about a Starcamp Summer Camps Single! 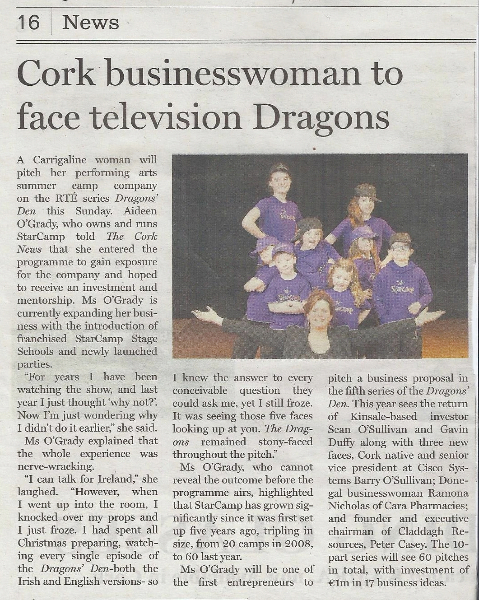 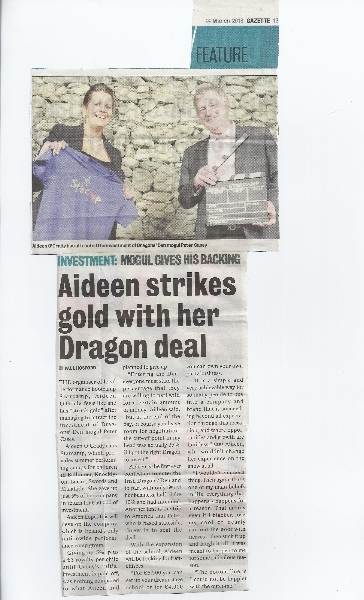 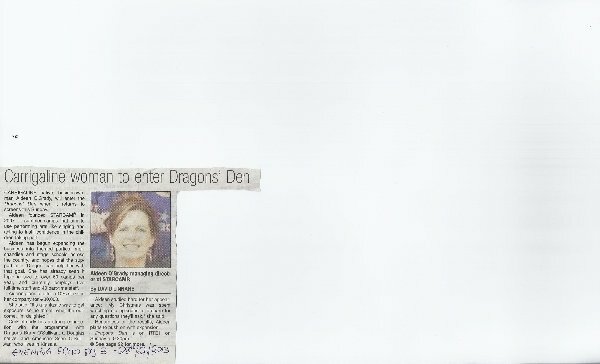 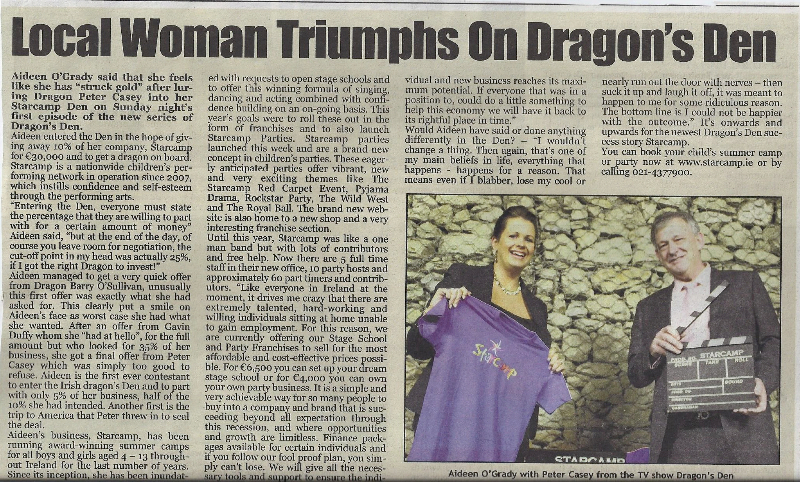 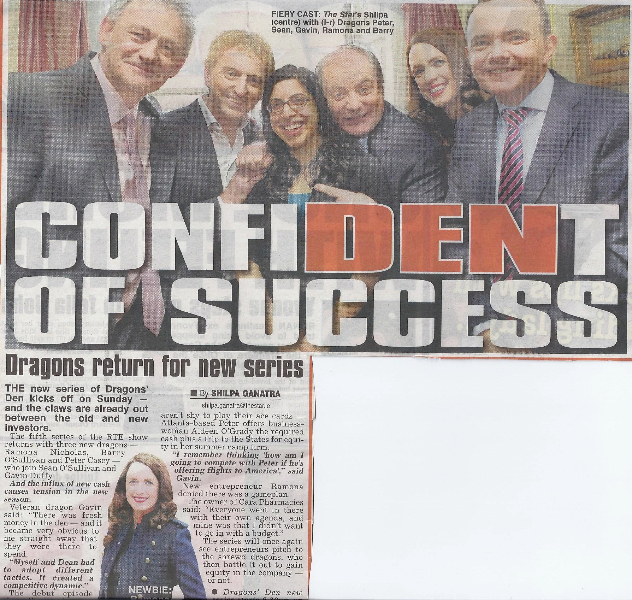 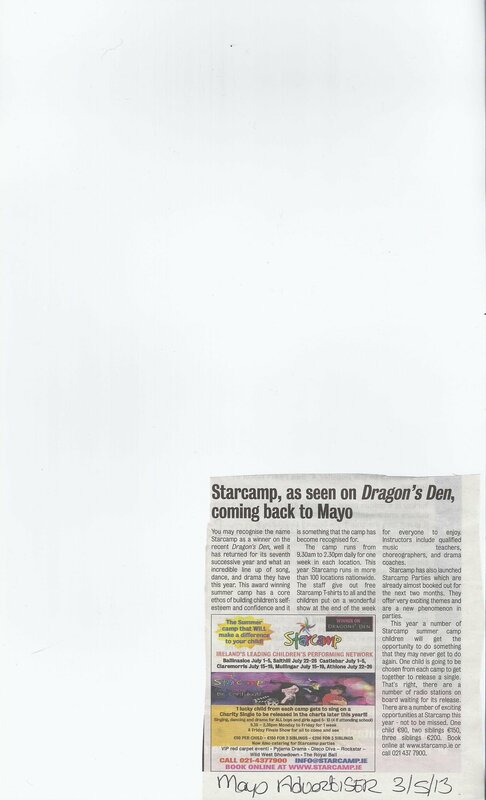 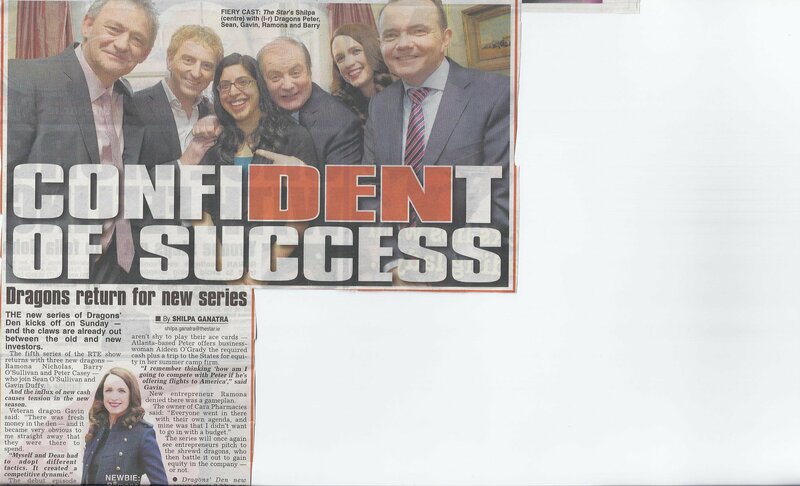 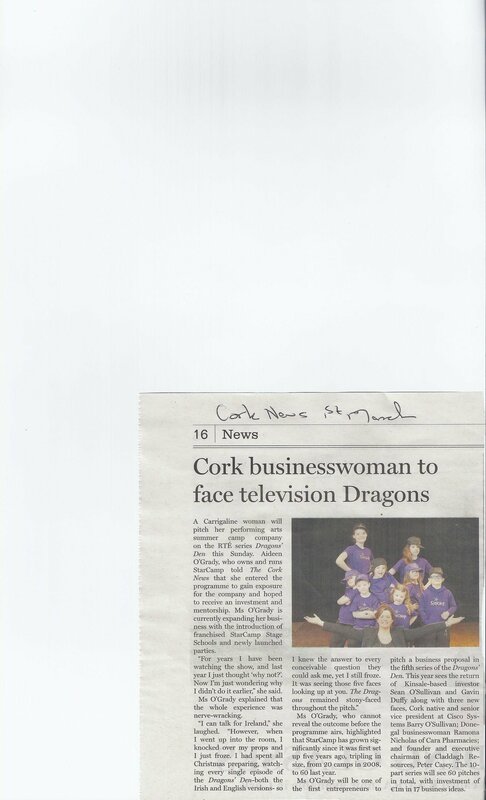 You may have seen STARCAMP Summer Camps owner Aideen on Dragons’ Den where the dragons fought for a piece of the action! 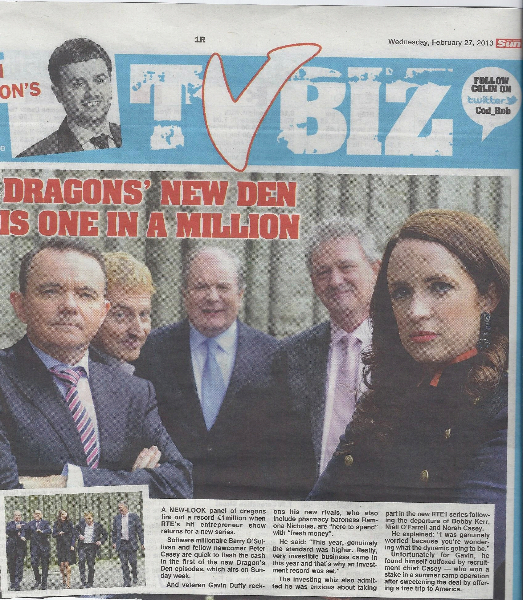 Have a look at her clips before and after her appearance in the infamous DEN!